Though Kalajyoti took birth in the year 2000, the entire Functioning as a Gurukul with all the curriculum began from 15th February 2003. Kalajyoti has been successful in rising itself to an organization of National and International stature. 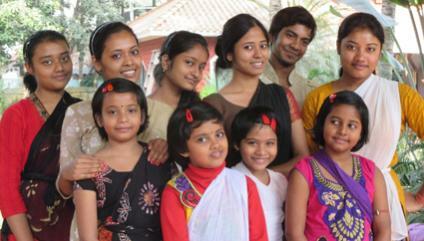 In a constant Endeavour to rejuvenate the spirit of Art and Culture, Kalajyoti has positioned itself on one hand, to support the financially challenged talents from general to SC , ST,and Minorities, in enabling them to fulfil their dreams in becoming proficient cultural performers through rigorous Cultural Training at the Gurukul. Kalajyoti inspired, and trained in Odissi - numerous financially deprived students of South 24-Parganas irrespective of caste, creed or religion. In past 12 years Kalajyoti hosted over 60 foreign students and research scholars from USA, UK, France, Austria, Netherlands, UAE, Germany, Bangladesh, Etc. in different fields of Indian Classical Music & Odissi Dance. Kalajyoti hosted at least 100 quarterly concerts motivating and promoting the talents, in- house auditorium at Kalamandap and About 50 concerts in different auditoriums, which gradually developed love and awareness towards our traditional culture among the local mass. Since 2013 after gaining in experience as an organization, Kalajyoti introduced and successfully hosted three day Mega event - Kalajyoti Utsav – with Kalaratna Sanman conferred on veteran performers who have dedicated there life for their respective performing Art. Competitions in various fields of performing arts remains an important part of the Utsav which gathers at least 150 participants of various age group from all over West Bengal. It features performances by veteran artist and Group with National fame, presents award to the competitors. Kalajyoti involves personalities from all walk of life - Gurus from Rabindra Bharati University, from department of Police, from Cultural Centres of India government – creating a cultural harmony. With the efficient and rigorously trained student – the Gurus of Kalajyoti composed a number of Productions and some received Grants from the Ministry of Culture ,Choreographed by Nrutyasree Monalisa Ghosh. Kalajyoti received recognition from Harinavi Banga Natya Sangha for the humanitarian work in promoting and training financially deprived students free of cost. 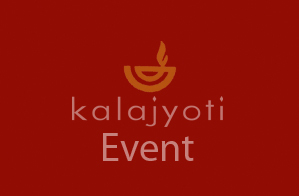 Kalajyoti has been able to organize workshops by renowned Gurus in several fields of performing arts. Senior students received awards from organizations in Cuttack, Bhubaneswar, Kolkata, and Europe.